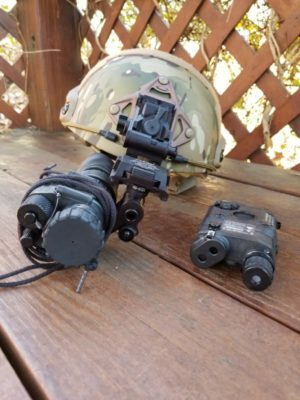 For those of you that want the best of all equipment when it comes to Night Vision, the “Ultimate Night Vision Package” is the package for you. Night Vision is the one piece of equipment that makes the difference in a Grid Down or Failure of Civility Moment. It WILL save your life. 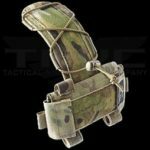 You can easily Hike with this White Phosphor Unit. White Phosphor has a lot greater contrast over the green phosphor units. You can perform intricate procedures, such as medical without the aid of light. You can see the Intruder LONG BEFORE he or she sees you or would be in a place to harm you. The OPS-CORE FAST BALLISTIC HIGH CUT HELMET XP is the best there is, it has a Ballistic Resistance to stop handgun rounds. 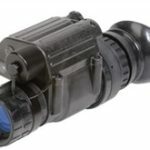 Exportation of Night Vision Devices includes travel. This means you cannot take a night vision device with you if you leave the country. Just so we are clear, this means it cannot be taken out of the country by plane (checked or carry-on luggage), train, boat, or automobile. Doing so is in direct violation of ITAR and, again, you will go to a Federal Penitentiary. This includes all civilian and law enforcement personnel (in short, flashing a badge will only make you less popular at the Federal Penitentiary). On the same note, it is a violation of ITAR to allow any non-U.S. citizen to look through U.S. Gen3 night vision equipment (even on US Soil). They are also not allowed to have access to any operator’s manuals or documentation, whatsoever, pertaining to US Gen 3 Night Vision Devices. This is a little-known fact about ITAR and Night Vision Devices, but it is true. We have confirmed this with the US State Department and major Night Vision Manufacturers. At Ready Made Resources, we take great care to ensure our clients are properly informed on laws and regulations pertaining to night vision. We will FULLY REPORT AND CORPORATE with Federal Law Enforcement if we think a unit is exported. Ladies and Gentlemen, this is serious business. Night Vision Devices help give our Warfighters and Law Enforcement Professionals the edge in defeating America’s enemies and keeping our communities and borders safe. At Ready Made Resources, we do everything possible to insure this technology stays in the U.S. and that our customers do the same. Please help us safeguard this technology by owning and using it responsibly. This system comes with the Wilcox dovetail Mounting System, with dovetail J-ARM A huge upgrade over the standard mount. You also get the EOTEC APTIAL PEQ-15c Laser Aimer and Illuminator. The Advanced Target Pointer/ Illuminator/ Aiming Light (ATPIAL) is the standard issue laser module for the U.S. Warfighter. Designed and built as the next generation mountable IR laser/Illuminator, it is the battlefield replacement for the venerable AN/PEQ-2A which has faithfully served US Military Forces and Law Enforcement Agencies for years. 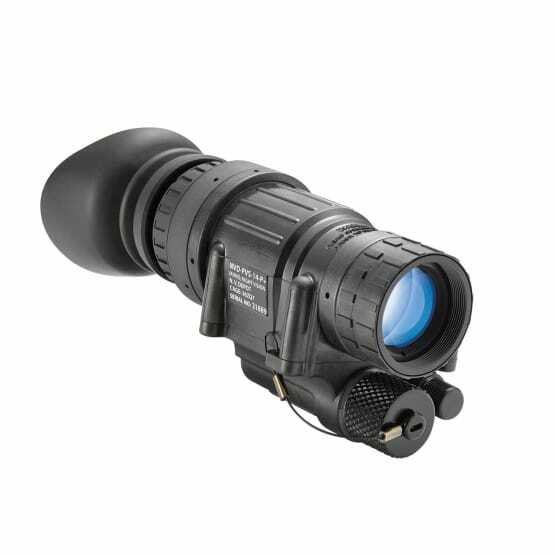 One of the key improvements in the ATPIAL is the addition of a co-aligned visible laser diode which increases functionality, allowing for use without night vision devices. The visible laser is slaved with the IR laser pointer, meaning a zero with one, insures the same zero with the other. This is extremely advantageous because you can positively zero or check your zero during the day using a simple boresight technique. 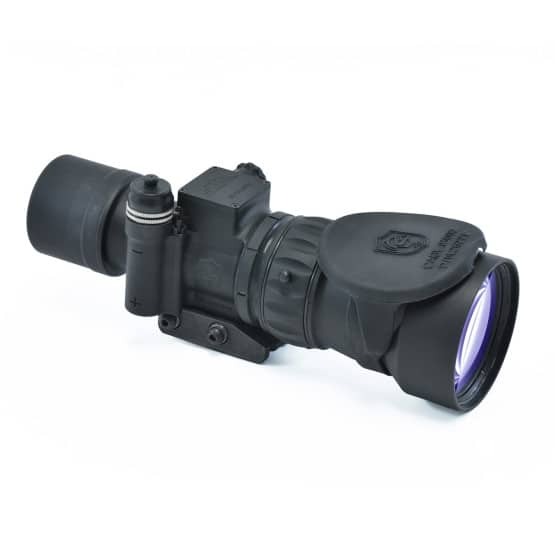 The Heart of the System is a Night Vision Devices WHP White Phosphor PVS-14 Night Vision The WHP is the Highest Rated Tube.